Server IS UP And was FULL So we Upgraded Slots to 100! Thats 50 More. And Remember join for intense PVP/RAID Server! We are also going to be one of the recommended servers For Voltz! In the next Update! Thanks for all the support! iDream Voltz is a Brand New Server for Voltz a New Mod Pack for the Technic Launcher. We created this server to compete with the Official PVP/Raid Server on the Voltz Mod Pack, because we believe we can do better. Me and my Co-Owner have tons of experience with Server hosting and we have a great team of staff and great Team of Devs [Web Dev/ Code Devs ect..], We host one Tekkit Server Currently [iDream Tekkit]. iDream Voltz is a Server where you can Enjoy Lag Free Voltz. Fight Against Others , with all your Voltz Items [Missiles Ect.]. iDream Voltz is Running off our Dedicated Server. This Makes our Server LAG FREE. Currently we are running 50 Slots, to test how fast our server can get full. If we get full we will gradually update our player slots. What Makes iDream Voltz Special over other servers? We have a Dedicated Team of Staff / Devs workin on the server Just for you Guys to enjoy Game Play. 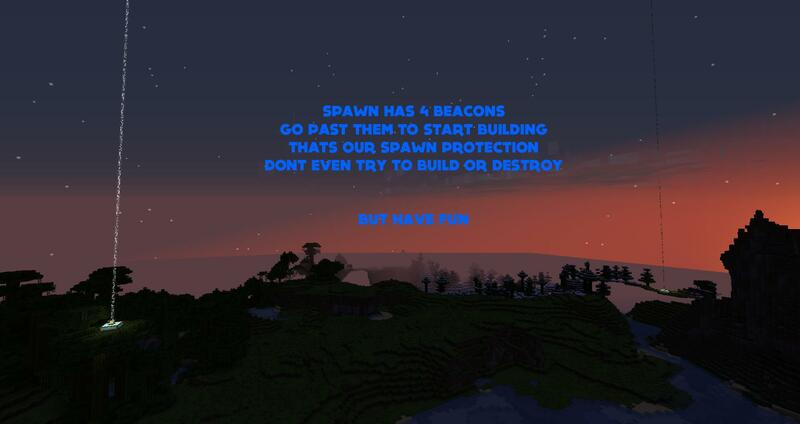 We are also a Great PVP / Raid / Grief Server where the SPAWN isn't Destroyed everyday. We made it Missile Proof, and no its not made out of Bedrock. We Provide a Lag Free Server that some servers lack. We also have No Banned Items Just go out and have Fun and Make your Team the Best. We Have BUKKIT!!!! Yes Bukkit you heard us we are one of the first Voltz Server to implement Bukkit to Voltz! And probably your wondering if you have Bukkit do you have a Clan System and the answer is YESS!!! We do have clans! Working right now! Just some bugs but their are being worked out!, We have Essentials for commands , /tpa , /sethome, /home and Guess what WE ALSO HAVE SHOPS [being implemented in new spawn]. We are working like crazy to make this the #1 Server for Voltz. We are getting their but we want to see what you guys want Next in Plugins! Mini Games are coming Soon to enhance game play. Money system is coming in too! [Currently No Money System]. We Have Staff Online Everyday at every Given time, but we are trying to hire more. Staff Applications are NOW CLOSED, till the rest are replied too. We Recommend Donating to our Server to Keep Us Running, but its totally Up to you.
] Our Server Network has a lot of Donation Money but if donations come they can help us Fund more Money to The Voltz Server. Because you dont want to be raided and griefed asap. Invite trusted players because people can grief you and backstab you. Yogscast: Duncan and Sjin Joined our Server! It's an awesome Server guys come just us! iTech Industries ftw! Lol Have fun but follow the rules.. and Kmen i will announce your approval within 3 hours. Why We Should Pick You: I feel like i would be an asset to the staff team due to a large experience with modding a tekkit server for several months. (Until it was basically ended due to lacking funds. Donators ;/) I also feel that since i've played as many of these players i understand that there often is two sides of arguments that mods may overlook. Beyond just knowing a little about modding, i love to play and i believe that's an important part of being a mod for a server because there are ones that don't really care to play so may not be too interested in others and their enjoyment of the game. Active on the server almost daily for one to two hours. More on Weekends. will read in and approve it within 3 hours. Both you and kmen will get a response. Why We Should Pick You: I have been playing Tekkit and Technic for about 7 months, although I took a bit of time off. When I played only vanilla I owned 7 servers since 2010 and have been an Admin or Mod on over double that. I am more with the In-game admin than server side but I do know both. That and I just love to play in general. item recipe (for example ) il try to help him, and if i see someone that doesnt folow to rules i punish him. Why pick me? I am a dedicated mine craft player, I have played almost every type that can be thought of such as tekkit, hack/mine, and now Voltz. I like to help other players so being a mod I find to be enjoyable and the most important reason is That I am an understanding person meaning I understand people can have trouble with a game and I do not mind taking that extra step to show someone how something works or is done. I also do know all standard commands once they are put in place. Your Moderator Application has been Accepted! Ur Application is still in progress. may take up to 24 Hours. Also We are Upgrading our Server to a new Dedicated Server to make it 100% Lag Free. So the Server is currently Downed. I second Brounie. There is a little personal information that some people may not be willing to give out. I would suggest that all further apps go on the IDream Tekkit site (If that Application is appropriate as they have an actual tab set up on it. Though it may not be the correct place and they may want it here. Just a suggestion is all. Heads Up - Server is almost done being upgraded - Its taking awhile because we are upgrading the server to a linux box, and its harder to set servers on there because we need to do everything on a command prompt menu meaning we have to write commands to download the server ect..
Its almost complete we are settin up java and the files are being implemented. And i will let you no when the server is finally up. - also we will promote you to mod when the server is finished, you will have the power to kick, if your good we will promote you to head mod then you can ban . 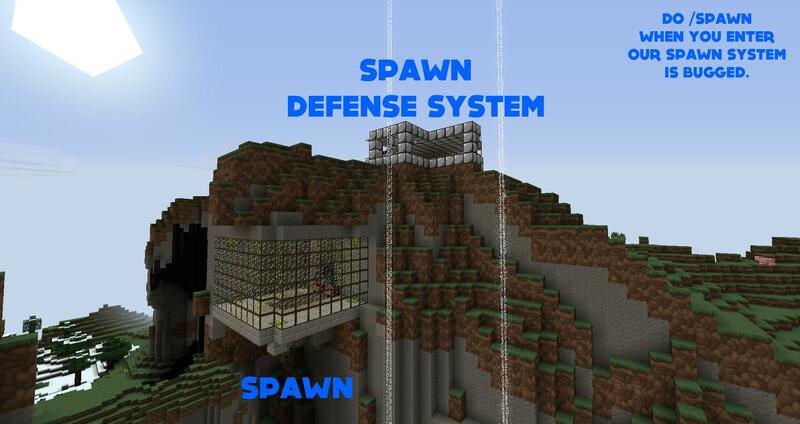 Currently there is no prefixes so people wont no but ill place a sign at spawn and put ur username in the forum post Also as a question do you enjoy our server? do you think its hosted well? [Other than that awful lag we had] Rate us out of 10? Would you like me to write a review here? OR anywhere else specific ^-^? Or should i just put it 'ere? I'll apply for staff as soon as you put it up on the website. I feel it would be a bit hypocritical to do otherwise.